We believe every individual is unique therefore we recognise that what helps one person might not be as beneficial for someone else. We aim to start by finding out what works for you. This involves a talking approach and the therapy will be guided by our experience and knowledge of ‘evidence-based’ approaches, as well as our understanding of you and the circumstances that have brought you to therapy. The 'evidence-based' approaches we offer share much in common; at the heart, they are all talking based therapies. We might draw from a Cognitive-Behavioural Therapy (CBT) approach. However, it might be more helpful to think about other therapeutic approaches, such as Solution-Focused therapy, Narrative therapy or counselling approaches. 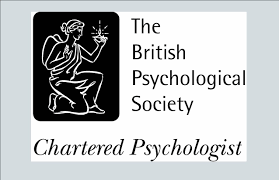 As Clinical Psychologists, we are skilled at considering which approach is likely to be more beneficial to a person or family, depending on their needs and circumstances. Coming to see us will involve sitting down together and talking about the difficulty that has brought you to therapy. ​We are flexible and creative having found this especially helpful when working with young people, as well as with adults. For example, in our work with children, we often use art or ‘play’ as a way of making it easier to talk about difficult things. How you prefer to use our time together is an essential consideration and we are committed to making your first session with us anything but daunting. If your case is not within our field of expertise, we will let you know and forward on to another expert. An evidence based and psychological assessment that includes a structured interview and use of self-administered psychometrics. Courtroom expert witness testimony. We currently offer face to face sessions in therapy rooms at 45 Central Street. In addition to this we offer Skype sessions. ​Sessions last up to 50 minutes and we are able to provide weekday evenings and Saturday mornings. 1-1 Sessions £95 per session. We aim to ensure that you feel respected at all times when working with us. Our work is collaborative and as such involves building good relationships with our clients and being transparent in all aspects of the therapeutic and consultation process. We are very passionate about our work and will always seek to make the therapy experience one that has compassion and empathy. We seek to make the space as confidential and private as possible and at your first session we will discuss this in further detail. We aim to ensure that our clients are always safe and we endeavour to work with your GP to achieve this, if necessary.